Space. Every homeowner wants more of it. But if you’re not lucky enough to live in a big house or airy loft with room to spare, create the illusion of space and learn how to make a room look bigger with these simple tricks. 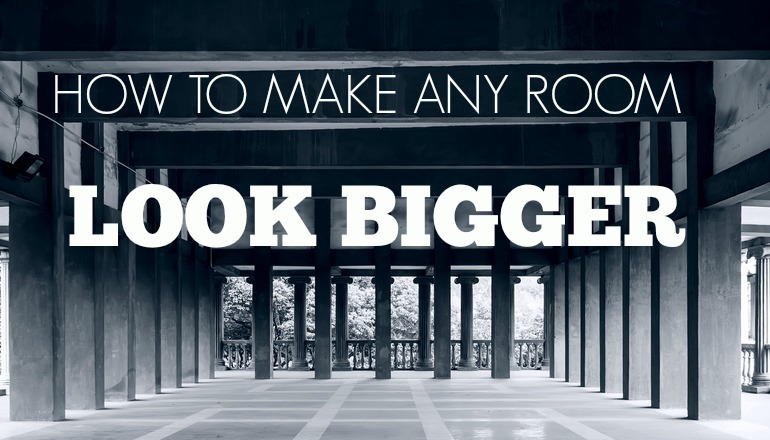 This infographic takes the ten most important points when refitting your room for a spacious look, and breaks them down into easily-achievable tasks. A lot of these solutions require sufficient light to work. If you feel that your windows aren’t letting enough light in, take a look at some new window designs. They could help you reimagine the amount of space that’s available to you. Have you tried any of these steps and found them particularly effective? Let us know in the comments. Please include attribution to anglianhome.co.uk with this graphic. If you know someone who is struggling to make the most out of their box room, they may appreciate the improvement suggestions. Be sure to let them know about the ways they can make their rooms more open! I'm a writer and editor who studies MA Writing at Liverpool John Moores university. My biggest home interests are tech, upcycling and feng shui. Let me know if you find a combination of the three. Brett Janes has 51 articles.